Infusing creativity into our Feng Shui presentations; a unique experience you will never forget. Tap into and harness the Qi around your environment to help you achieve your goals in life. Find out more about our Feng Shui services. Marriage is an important milestone in a person’s life. Our services help pave the way for a blissful union. Are you bored by the same old monotonous Feng Shui talk that sounds like a University lecture? Rated by event planners and corporate organisers to be the “Best & Most Entertaining Feng Shui Master” when it comes to presenting a Feng Shui talk, David Tong is always in high demand for his ability and skills of connecting with the audience and brings laughter and surprises to your corporate event. The huge number major corporate client list below that engage David’s services for their important events speaks well of his popularity and trust in him. You can also check out photos of his past engagements by clicking on the “Past Seminiars & Talks” link on the right panel. Our principal consultant, David Tong, is a multi-talented individual. Armed with a deep knowledge of Chinese Metaphysics, Conjuring Arts/Magic and Technology, he combines these passions together to create a dynamic, entertaining and informative presentation that guarantees success in every of your event. We understand that in such events, entertainment is the key word. All our talks are designed to bring lots of laughter and interactions with your clients or staffs, while at the same time, armed them with useful knowledge that they can bring home to apply immediately. We cannot tolerate those traditional boring “lectures” where the presenter read line by line from the slides, hence you will not find any in our talks and seminars! Our expertise is in creating and customising Feng Shui seminars and talks that is specially interwoven with conjuring arts/magic to illustrate key points and messages, creating an event that your audiences will never forget! 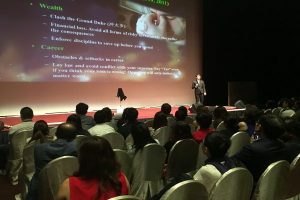 David Tong is the ONE & ONLY Feng Shui master in the world to infuse magical arts into a Feng Shui talk, creating a truly unique experience for your clients and guests. Be prepared to be amazed as dollar bills multiply right in front of your eyes as David demonstrates how Feng Shui can be used to enhance a person’s wealth luck, while at the same, not an instant get rich formula. In another instance, David is able to predict numbers or playing cards randomly chosen by the audience way before the event starts to demonstrate how Feng Shui, if done correctly, can be used to predict what will happen to the occupants of a house, even before they move in! For events with large stage, David can magically produce “Snow Flakes” confetti from empty hands to show how Feng Shui and Bazi can be used to make a person’s dream come true. 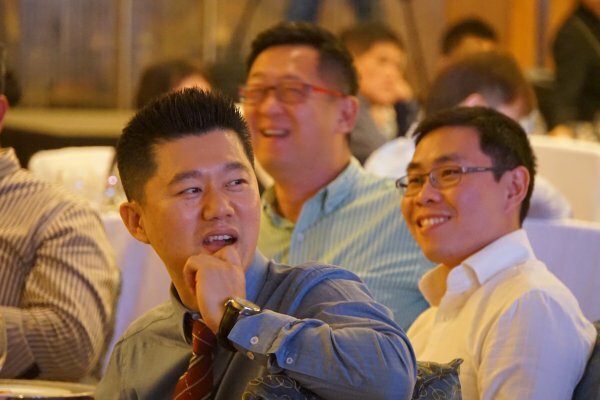 Many other surprises await you in our unique and exciting seminars and talks! David defies the common belief that “Secrets of Heaven Cannot be Disclosed (天機不可洩漏)” and shares his knowledge of Chinese Metaphysics generously for the benefit of everyone. Our seminars and talks are power-packed with authentic Classical Feng Shui techniques that your audience can apply immediately when they get home. We are able to customize our content to fit any topic and length of time specified by you. If you want an unusual, entertaining and informative Feng Shui seminar or talk, look no further. Call us now at 98299670 or email us at david@cmgconsulting.com.sg to find out how we can help you make your event a success. If you are an events organiser, we are happy to work with you to bring our one of its kind Feng Shui talks to your clients. Please contact us for more information.